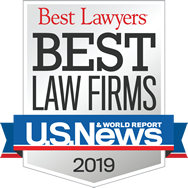 The attorneys of Strassburger McKenna Gutnick & Gefsky have decades of experience representing publishers, broadcasters, and other news organizations, as well as individual journalists and authors. When necessary, we have gone to court for our clients to protect important rights in the areas of free speech, government transparency, and protection of copyright and other intellectual property. In doing so, we have helped our clients win landmark rulings in the state and federal courts. But our experience doesn’t end there.